One of David's passions is designing and building bespoke organs. Hand built to order and personally designed, it means you have something totally unique that will serve you well. 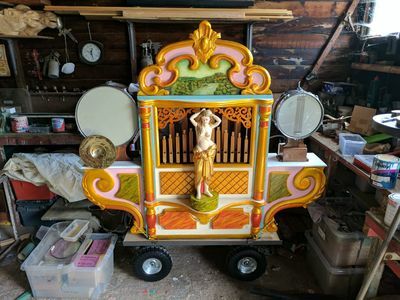 From a traditional 'Cardboard book and bellows' organ of any size to a fully motorised and self playing MIDI organ, David can design and deliver your dream instrument. David's experience and knowledge means you could 'reinvent the wheel' or go for something more traditional. Pictured here in production is a compact 52 Key Street Organ. It still has a large musical ability but is half the size of a normal 52 Key Instrument. This is designed for a customer who wants an impressive sound, without the worry of transporting a large instrument. ​Fitted within the case will be ranks of violin, bourdon, flute and trombone pipes. Also installed will be a bass drum, cymbal, snare drum and woodblock. A totally unique organ that will surprise many. David has the confidence to deliver a unique instrument. 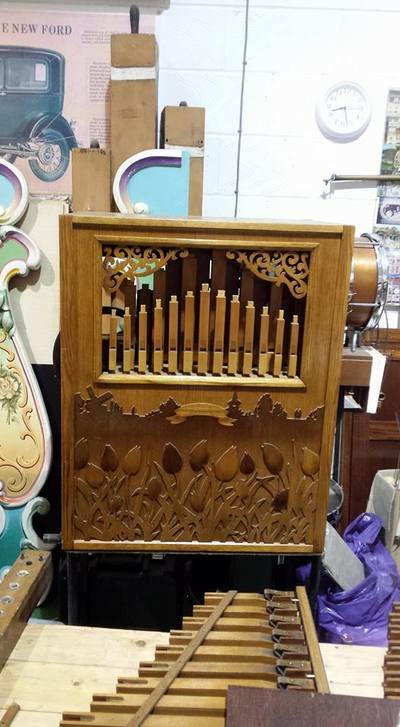 Pictured here is a 36 Key hand-turned book organ, much like the many hundreds built through the years, but the combinations of pipework and registration are totally unique, including a Jazz Flute. Here is a great example of improving a simple instrument. 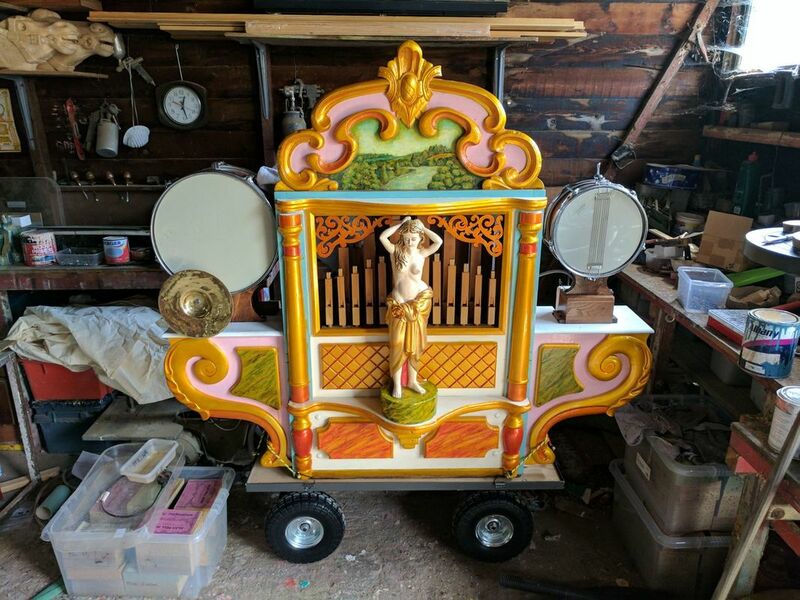 Starting its life as a Pell hand-turned Book Organ, the new owner requested it had percussion made and installed, plus a decorative front designed and built by David. Note in the video, with the front removed, the interesting sideways bellows system. ​Built to your budget and timescale, all of his instruments are beautifully finished with veneered case work and bespoke decorative facades. True craftsmanship. A huge choice of pipework includes; Bourdon, Violin, Trumpet, Trombone, Piccolo, Saxophone, Flute & Tremulant. Also, percussion like a Glockenspiel, Drums, Cymbals, triangle and more. For an individually designed mechanical organ from 14 notes to 125 notes, please contact David to discuss. He will have the ideas to inspire your dream.